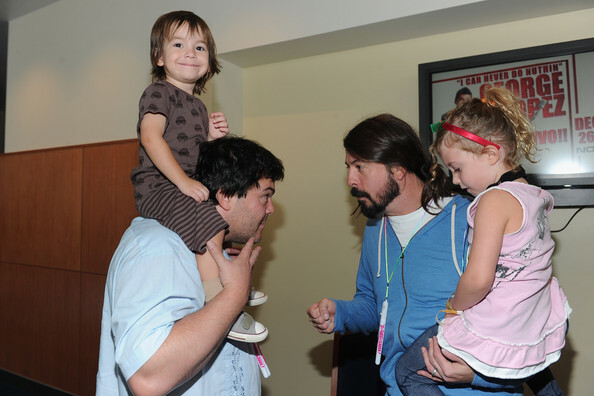 Actor Jack Black, son Thomas Black, musician Dave Grohl and daughter Violet Grohl attend Yo Gabba Gabba! Live! There's A Party In My City at Nokia L.A. Live on November 27, 2010 in Los Angeles, California.